The Tobacco Institute of India (TII) said the industry was concerned over potential violation of health warning rules by continuing production, adding that the production halt would cost the industry $53 million a day. Patch allows for targeted delivery of nanoparticles loaded with promising drug. The drug is also being tested for use in patients with different forms of skin cancer, BRAF-mutant melanoma and NRAS-mutant melanoma. The CHMP’s recommendation is based on two studies. In one study of 106 patients receiving Darzalex, tumours shrank or could no longer be seen in 29% of the patients over an average of 7.4 months. In the second study of 42 patients receiving Darzalex, tumours shrank or could no longer be seen in 36% of patients. 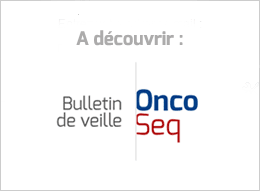 First combination of two Immuno-Oncology agents in advanced melanoma to receive positive CHMP opinion, based on efficacy and safety data from two trials, CheckMate -067 and CheckMate -069. The CHMP adopted a new indication as follows: "treatment of adult patients with unresectable liposarcoma who have received prior anthracycline containing therapy (unless unsuitable) for advanced or metastatic disease". Darzalex should be administered by a healthcare professional, in an environment where resuscitation facilities are available. The European Medicines Agency's (EMA) recommendation applies to the use of the antibody treatment in adults who have already undergone standard treatments for multiple myeloma. So while PhRMA may complain about requests for “transparency” on R&D spending –and I agree this information is worthless, not to mention time consuming and expensive to collect– the industry brought the issue on itself. The researchers came up with an interesting hypothesis about which there is not yet any data, which concerns a conflicted field of science. I think it’s fair to say the news release implied far more than the paper actually found.